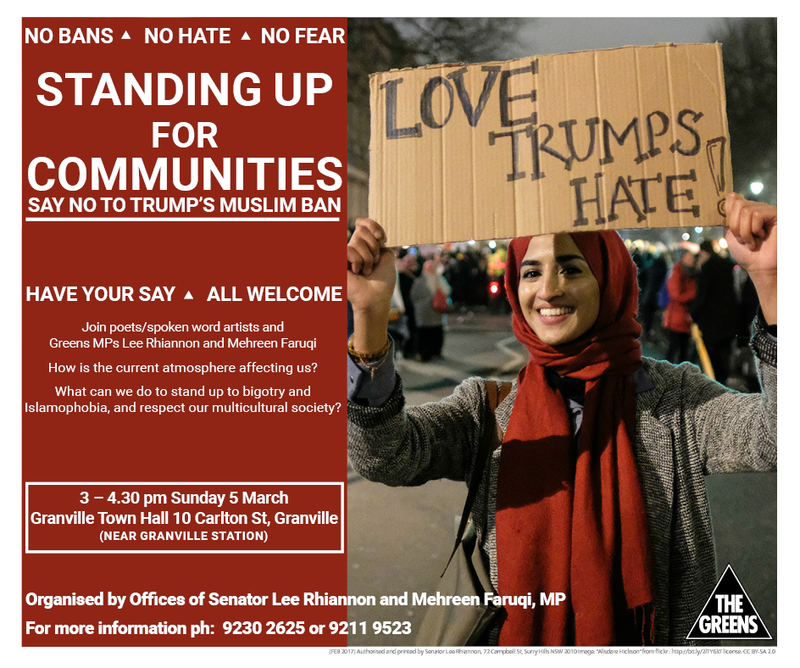 In Australia, for response to the current climate of hatred and fear that is spreading across the Western World – Senator Lee Rhiannon and Dr Mehreen Faruqi MP, hosting a forum on the importance of diversity and respecting communities. All members of community are invited you to the forum, it is on Sunday, 5th of March in Granville Sydney. Please attend this important Forum, spreading the word and share this with your networks.